After Google Calendar Sync was discontinued 4 years ago, most of its users were panicking. Some felt pissed off and turned to other services such as iCloud or Outlook.com. Some users with mild usage perhaps went back to stone-age fashion of simply manually exporting/importing .ics files. Google followers went straight to G Suite subscription. Yet, another group of users did not compromise and sought for a free or paid syncing Outlook Add-in. This Outlook add-in enables users to conveniently continue using Google Calendar service without paying Google monthly fee. Other than EVO Collaborator for Outlook we previously mentioned, we will discuss about some other Outlook add-ins of the same kind. 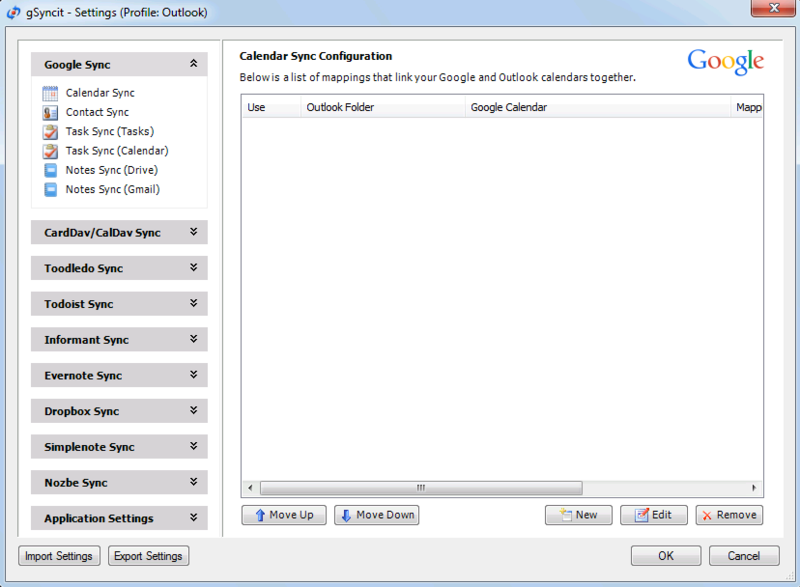 The main reason that Outlook users chose these add-in software is that they can continue using Google Calendar service. However, Google Calendar Sync add-in used to be free of charge Now, users may have to pay for third-party Outlook add-ins. It may get on the nerves a bit. From my point of view, paid software still has its value when it comes to tech support aspect. 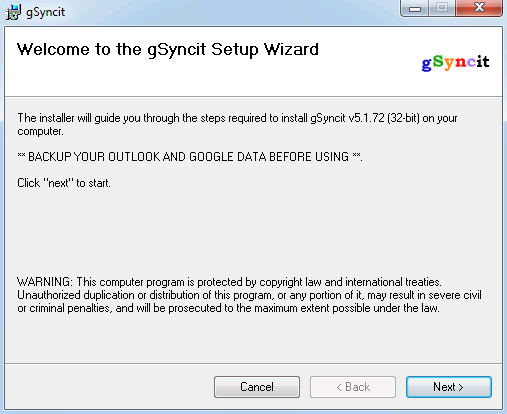 Anyhow, let’s get started with gSyncit among a list of Outlook add-ins. gSyncit is an old brand Outlook add-in of its kind. 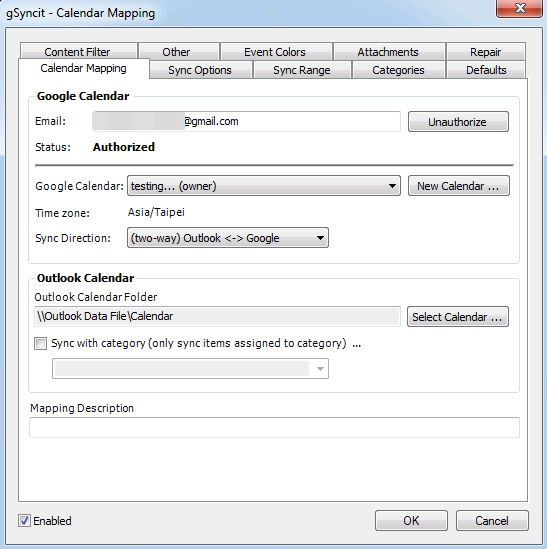 It has already been around when Google Calendar Sync for Outlook was still alive. Other than syncing Google’s calendar, contact, task and notes, it also supports cloud notes of other services, for example: Toodledo, Todoist, Evernote and etc. Starting from version 4.0, it also supports contact and calendar synchronization with other CardDAV/CalDAV services, such as iCloud, GMX, Aol and so on. Download from CNET and install gSyncit. Open Outlook and you will be asked if you like to activate or go for trial. At top, click on gSyncit ribbon. Click on Settings button to the left. In the pop-up window, click on Google-Sync at top-left corner to open configuration menu. The most annoying part of gSyncit is that you have to individually configure from scratch for contact, calendar, task and note you want to sync with. Let’s take a look at the calendar part. In the screenshot below, enter Gmail account and finish OAuth routine first. Then, choose the calendar from a list on Google’s server as well as a local folder on Outlook where you want store the calendar entries. If no options need to be specified, then click on OK to store settings. If you are an advanced user and know what you are doing, then you can click on other tabs to finetune sync rules, sync calendar period, default value for newly created entries (available or but/private or public), color of entry, attachment and etc. Now, click on Sync button in the screenshot of step #3 to start synchronization. Finetuning can be very detailed. If you read user manual thoroughly, then you can personalize settings according to your own preferrence. Support of syncing cloud notes. Some users take notes on Tasks. Some others use note app on their mobile devices. If the latter, then syncing cloud notes comes in handy. Support of other CalDAV and CardDAV. Users of other cloud services can also benefit from this feature. Seemingly, this feature was added starting 2016 after seeing EVO Collaborator for Outlook with the similar multi-services support. Support of Outlook 2003, 2007, 2010, 2013, and 2016. Even with this backward compatibility, I still strongly recommend you to use at least Outlook 2013 or 2016. The reason is that Outlook 2010 has minor glitches and is not running as smoothly as Outlook 2013 and 2016. Yet, Outlook 2003 and 2007 had reached the end of their life cycle. A paid software with further tech support available via e-mail. Fineturning is too much to handle. Some typical users just want to simply enter Google account and password as well as assigning sync calendar/Outlook folder. Then, it is done and sync will start. No automated sync timer can be configured, such as auto-sync every 10 minutes. There will be a conditional discount from version 4 to 5. Customers with older versions need to pay in full price if upgrading to the latest release. English is the only option for UI language. Tech support can only be obtained via filling up forms on its website and the wait time is usually 24 hours. Though gSyncit has some weakness of repetitive configurations, long sync session, non-free software upgrade, it provides a lot of detailed configurable options for users who know what and how. For trial version, one good thing is that there is no expiration date. However, syncable entries limitation is 50 and you cannot delete entries. It means that you cannot use it forever for free because there is no way you can keep entries under 50 at all time. Lastly, lack of software UI in other languages are not user-friendly for non-English speakers for finetuning advanced options.